Snorkeling is the quickest and easiest way to explore the ocean and encounter another world. Below the waves is another ecosystem that is teeming with life and color, you just need the right gear to see it. Most of the bright colorful things stay in shallow water, so you don’t have to dive down deep to see it, you can see most of it from the surface. You don’t need a lot of gear to get started and if you choose wisely and enjoy snorkeling then a lot of the gear can go with you onto scuba diving if you want. Your two most essential bits of kit is a mask and snorkel, these allow you to see and breathe underwater without lifting your head out of the water. Your snorkeling mask This is an external link is the most important thing you’ll need and is where you need to focus most of your attention. Your mask lets you open your eyes in the water and see and it will spend a lot of time on your face, so you need to be sure it’s comfortable and fits properly. Snorkeling masks have three basic parts; the glass lens, the silicone skirt and mask strap and you want just that; glass and silicone. The more you spend on a mask the higher quality materials and finish you will get. Pay particular attention to details and technology in the skirt as these will make it fit better and feel better. The skirt is the part of the mask that directly touches your face and will keep the water out and you want it to be made from silicone. Some snorkeling mask skirts will have detailing around the temple and cheekbones so the skirt is softer and will seal better to more face shapes. Softer skirts will be more comfortable and seal better too. If you have a slim face many manufacturers make smaller versions of key masks that have a smaller skirt so they’ll fit you better. Look for ‘Midi’ or ‘Mini’ or something to that effect. All decent snorkeling or scuba diving masks will have tempered glass lenses and you can always tell by a small ‘T’ or ‘tempered’ written in a corner of the lenses. Tempered Glass Lenses are tough and reliable but do need a little preparation before you first use them. On the inside, you’ll need to remove a release agent from the glass that you can’t see but will fog up very easily. This release agent comes from the manufacturing process and embeds itself in the microscopic grooves in the glass. Use a commercial prep treatment or cheap children’s toothpaste with no granules on the inside of the lenses to remove this chemical and then a defog treatment before you jump in to keep your mask fog free. If you’re spending a lot of time on the surface in a sunny place then a mask with a mirrored treatment to the lens is better because they will act similar to your sunglasses and will cut out a lot of the glare of the water. Anything other than a silicone skirt. You can buy some much cheaper masks but the skirt will be made from something other than silicone, most often silica. These materials are often harder and perish very quickly meaning that even if you do find one that seals against your face it will probably only last one season before it turns brown, splits or hardens. Anything other than tempered glass lenses. Again, on the cheaper end of the spectrum, you will find plastic lenses that scratch very easily, can discolor and break or shatter. Look for the little T on the lens and you’ll be fine. Swimming goggles. Swimming Goggles are great for swimming but no good for snorkeling. 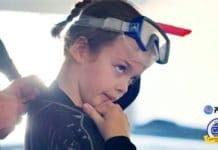 Without a nose pocket covering your nose, you can’t equalize a squeeze in your mask if you swim down and water goes up your nose very easily too. Over-tightening your mask. If some water gets in your mask then most people’s reaction is to tighten the straps but this can deform the shape of the skirt causing it to leak more. You don’t need much tension in your mask strap to hold it in position. There are three types of snorkels This is an external link and it’s mainly down to the number and type of valve at each end to keep the water out. The most basic type of snorkel is a simple bent tube with a mouthpiece on the end. Much cheaper but you do need good airway control and be fairly comfortable in the water to use these because any wave or splash over the top will fill the snorkel with water. Many snorkels now have dry-valves at the bottom that consist of a one-way valve that pushes and water inside the snorkel out every time you breathe out. This way even if a small amount of water gets inside the snorkel it is trapped away from your airway so you can still breathe past it and every time you breathe out, it pushes any water collected out the bottom instead of having to push it all the way out of the top of the snorkel. If you see a large section under the mouthpiece then that will be the water trap and purge valve. At the top of the snorkel, you will find either a splash guard or dry-valve. A splash guard simply deflects splashing waves or water from entering the airway the best it can but the snorkel will still fill up if submerged or a big enough wave splashes over. A dry-valve will have a small float at the top on a hinge that will block the top of the snorkel if submerged. These help by closing the top of the snorkel if any wave comes close and work well. Gravity or a little puff of air will open the valve again and no water is in your snorkel. The lower third of the snorkel will either be a fixed angle or have a flexible section meaning that the mouthpiece can move and sit more comfortably where you want it. You will also find that most mouthpieces are angled one way so the snorkel fits on the left side of your head. You can thank scuba divers for this because we always fit our snorkel to the left side because our regulators come in from the right side. Anything other than silicone. Just as with your mask, the soft sections on your snorkel can be made from cheaper materials but they are stiffer and discolor quickly so it’s best to stick to silicone. This modern hybrid between a mask and snorkel has become very popular but they do have some bad press too so it’s important to do your research. By covering your whole face it keeps the water well away from your nose and mouth and means that you can breathe through both nose and mouth normally. One of the not-so-obvious benefits of full-face snorkel masks is that they defog themselves every time you breathe in. A good FFSM will have a separate pocket around your nose and mouth that draws fresh air in over the lens so you can see clearly and exhaled gas is separated from the fresh. I won’t lie, there is a problem with some FFSM that you should be aware of and need to know about. You can read more about this problem here. If you invest in a good full face snorkel mask This is an external link and breathe normally then you should be fine. Cheaper knock-offs. The cheaper price point may be appealing but the poor airway control can be dangerous and is where all of the scary news stories come from. Snorkeling is typically relaxed and when you’re nice and streamlined it’s easy to move through the water but your hands and feet weren’t made for swimming. A pair of snorkeling flippers or fins This is an external link will help you motor through the water faster using less energy but you don’t need huge fins just to check out the reef, put simply; the bigger the fins the faster you’ll go. If you just want to check out the reef and paddle around then you can find some short fins out there that give you a little boost and stability but won’t feel cumbersome or trip you up. Most snorkeling fins This is an external link are worn barefoot and have a full foot pocket that is sized for a barefoot. You can wear thin socks like Finsocks Fin Socks – SimplyScuba.com This is an external link to keep them from rubbing and add a little extra warmth to your feet. Many snorkeling fins now have open heel straps so they fit your feet better and you can adjust how tight they are on your feet. The more you spend on fins the more efficient and comfortable the fins will be. Look for fins with two material blades with both stiff and soft sections. Single blade material is just like a boat paddle and isn’t very efficient. By adding a second soft section the shape of the fin can change and scoop more water making it more efficient. Poor fit. Made sure your fins fit properly and aren’t too big or too small before you hit the water. Too big and they can rub cause cramp, you shouldn’t have to grip the fin with your foot like a flip-flop and if you wiggle your foot in the air they shouldn’t move around very much. Too small and they’ll be uncomfortable and your foot won’t thank you afterward. Foot pockets that end halfway down your foot. You want the rigid part of the fin to continue as far back towards your heel as possible so the power of your kick comes from your legs, not from your toes. If the rigid part ends halfway down your foot it will bend your foot and cause cramp. A good rash vest This is an external link will protect you from the sun as well as a lot of bumps and scrapes and even many stings from jellyfish. Snorkeling in the sun means you’re exposed to the sun so you need to cover up and a normal T-shirt doesn’t protect as well as a rash vest when wet. If you feel the cold or are snorkeling somewhere cooler then a thermal shirt This is an external link is a good upgrade to a rash vest without investing in a wetsuit This is an external link . Thermal shirts are a neutrally buoyant alternative to neoprene so it won’t feel cumbersome or floaty. For colder waters snorkeling wetsuits This is an external link are best and provide better protection from the cold and scrapes but they do float. Most people float easily in salt water but if you’re not too comfortable in the water then an inflatable vest This is an external link will help keep you up on the surface. 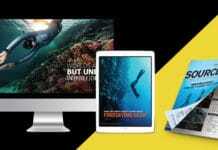 You’ll want to remember your underwater adventures and show people who don’t believe what you’ve seen. Single-use cameras have had their day and decent snorkeling digital cameras This is an external link are available that you can use out of the water too. Many have filters or modes that adjust for the blue or green of the water so your pictures and videos look better. 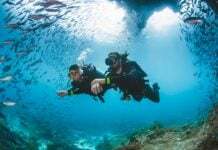 Carrying your gear to the water in a proper snorkeling bag This is an external link is much easier and a snorkeling bag should be made of a mesh material or have mesh sections that allow your kit to drip dry and air dry after you get out. On the flip-side you can opt for a dry-bag, these will keep your dry stuff dry or if you keep your wet gear inside it will keep the water contained until you’re ready to hang it up. 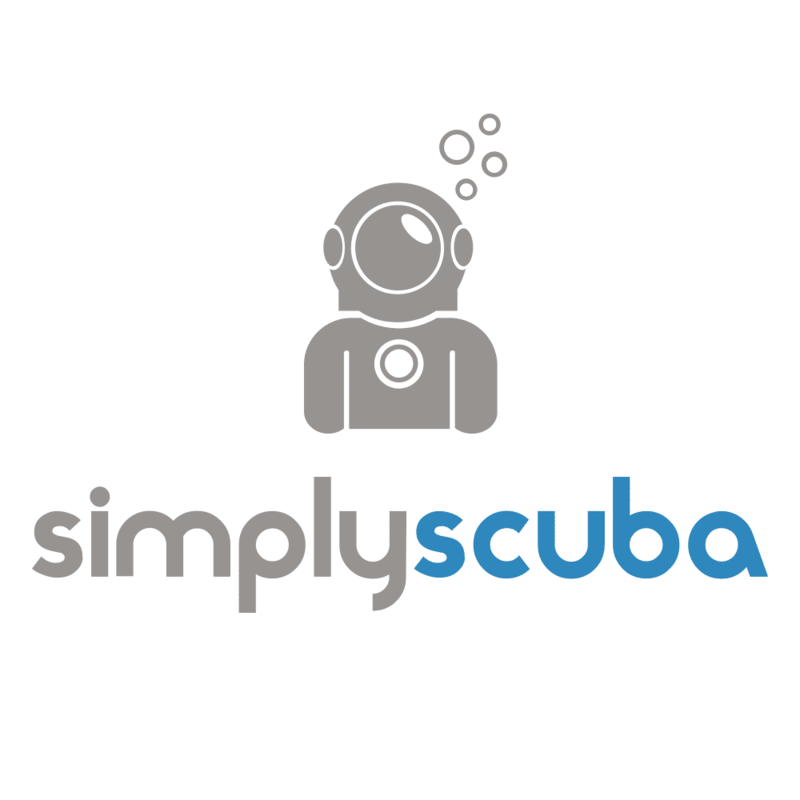 SimplyScuba.com Simply Scuba is the UK's leading online dive store, we've been voted retailer of the year by our customers and hold the prestigious golden diver award. This is a sponsored post – for more information please see our disclosure policy.  Simply Scuba is the UK's leading online dive store, we've been voted retailer of the year by our customers and hold the prestigious golden diver award.